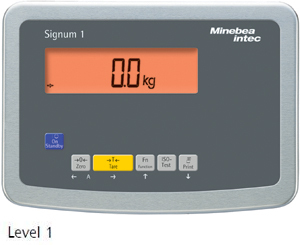 The Signum® industrial scale from Minebea is a compact industrial scale in which a choice of two powerful technologies is used: SIWR and SIWA models work with a strain-gauge type load cell; the high-resolution SIWS models feature monolithic weigh cells based on electromagnetic force compensation. The new Signum® offers exceptional performance features and, despite its wide variety of functions, is a very easy-to-operate industrial scale. The Signum® is extremely rugged and resistant, and perfectly adapts to any ambient conditions in an industrial environment. 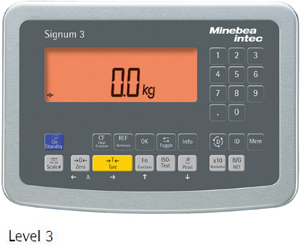 With Signum® industrial scale, anything is possible: pick and choose your level of applications and different resolutions, and enjoy the benefits of a wide variety of interfaces and options for use in hazardous areas and for many more features. The Signum® is a compact scale built exactly the way you want it - without compromises. With the high resolution versions of the Signum® series you can realize resolutions in the milligram range. 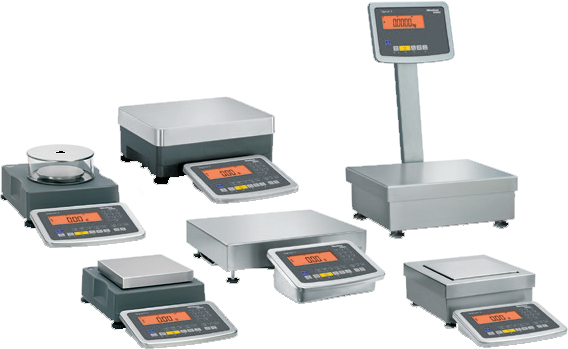 They are especially designed for precise weighing tasks and applications such as counting, checking and formulation. *Offer only valid on orders for scales from the following series: Signum® SIWR, SIWA, SIWS. The order is valid only in connection with the promotional code. Promotional period: 16 October to 31 December 2017. For trading businesses only. Not applicable for China, Iran, Syria, North Korea and Sudan. 7.1" x 7.1" 13.7" x 9.5"